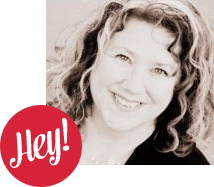 It’s happening…. I’m being taken over by the abundance of apples! 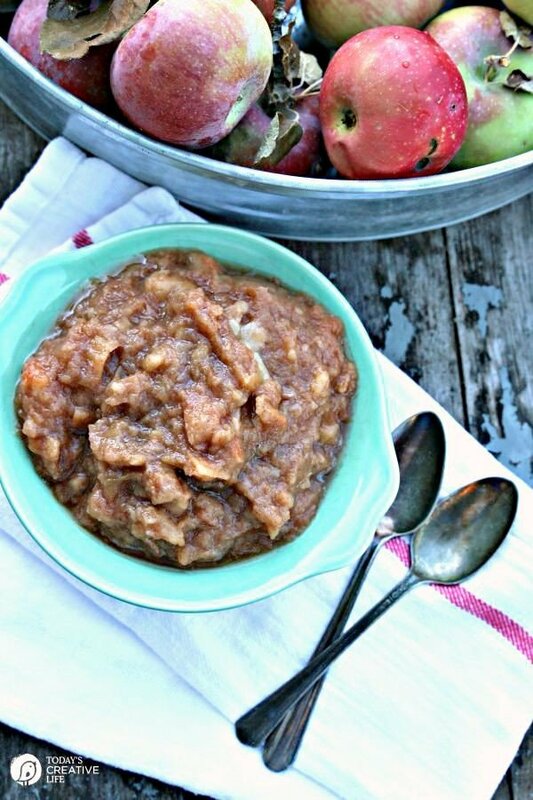 The quickest way to use up a large quantity is to throw them in your crock pot and make Homemade Slow Cooker Applesauce. 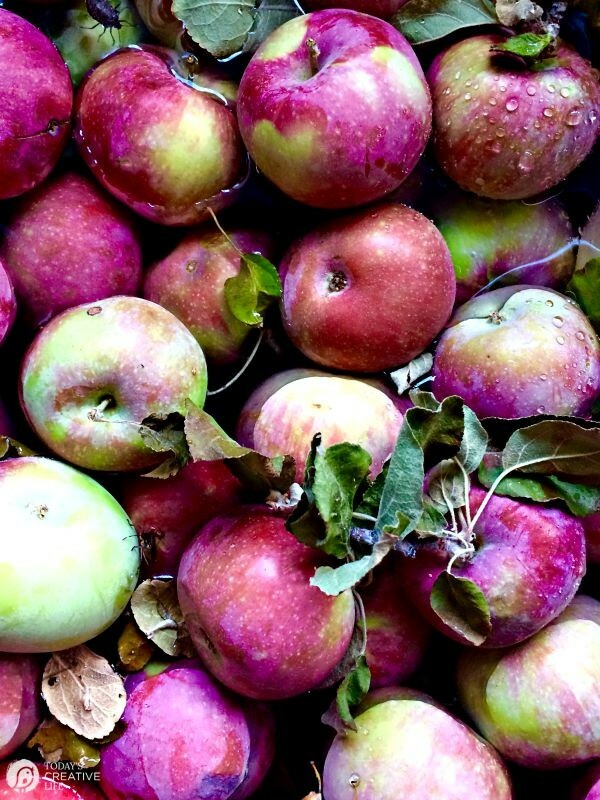 We have an apple tree in our back yard that produces a fairly large crop and then my husband was up at “The Lake” (his parents have a place at PineHollow Reservoir in Central Oregon) and the neighbor’s tree was dropping apples like crazy. So he brought a large bag home. I make a few things with apples each year. One of my all time favorites is my Cream Cheese Apple Bread! Oh it’s delicious! 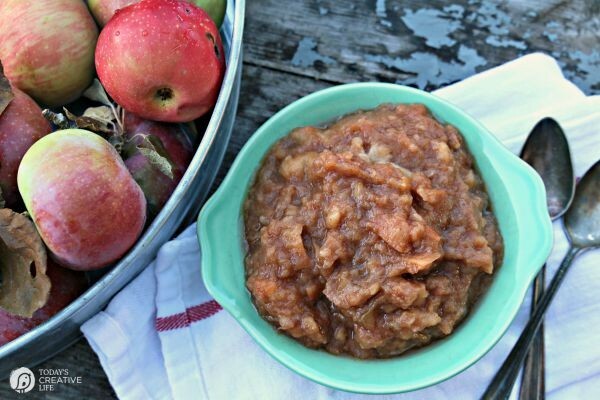 And, like slow cooker applesauce, I’ll make Slow Cooker Apple Butter. Oh and my apple and cheddar cheese quiche. It’s a good thing we like apples. 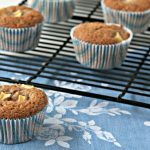 Brown Sugar – light or dark, it doesn’t matter. I never measure how many apples it takes to fill my slow cooker. I just keep peeling and cutting until it’s full. But If had to make a guess, I probably added about 10-12 of these medium to small apples. 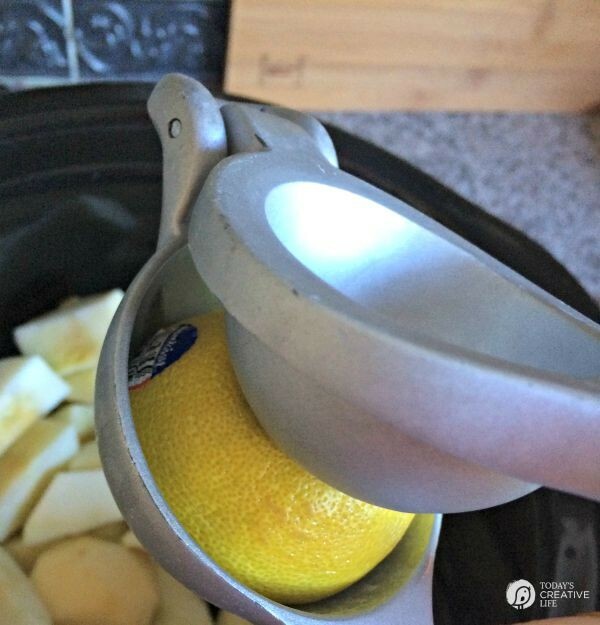 I already had my favorite citrus squeezer out, so it wasn’t an issue, but if you didn’t have any lemon juice, I wouldn’t want it to stop you from making this. 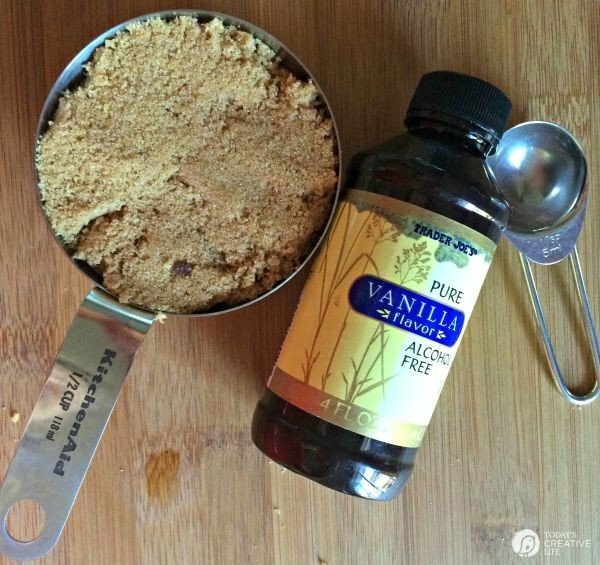 I added a 1/2 cup sugar and 1 tsp of vanilla. 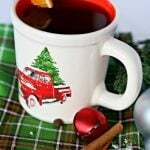 Could you use NO sugar or white sugar instead? Sure! 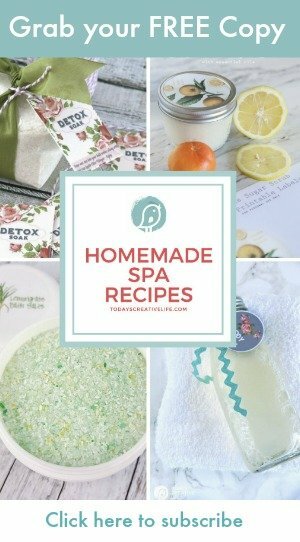 You really can’t mess up this recipe. I tossed a few cinnamon sticks on top and later, I decided it needed more cinnamon, so I added about 2 tablespoons. I like my applesauce on the chunky side, so I didn’t stir to smooth it as much as you could. If you like super smooth applesauce, then I’d use an immersion blender after you pick out the cinnamon sticks. Otherwise, just a fork or the back of a spoon works for breaking down a few chunks. This made enough to serve the 3 of us for an evening dessert over ice cream and then the next day for breakfast. 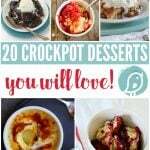 When it’s right out of the crock pot, it’s the perfect topping for a couple of scoops of vanilla ice cream. 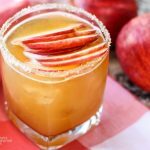 I still have more apples, so I’m thinking I need to whip up another batch! 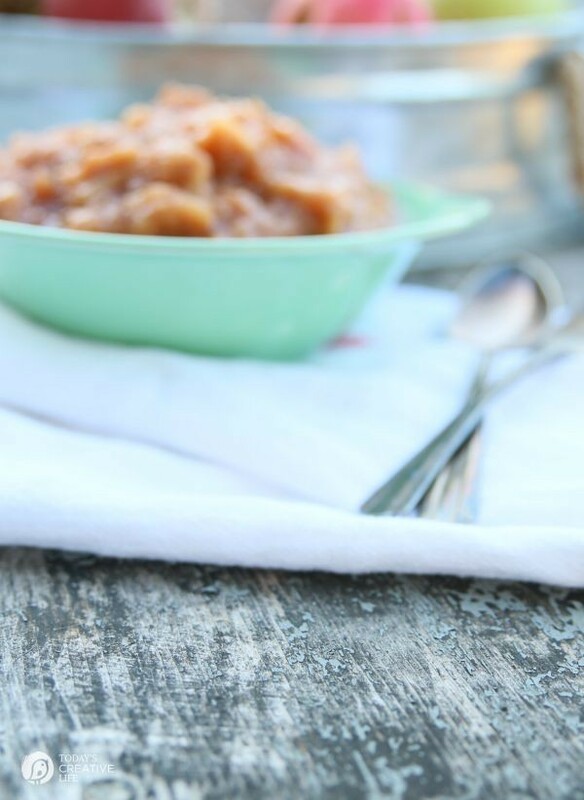 So tell me…… Do you prefer your applesauce chunky or smooth? 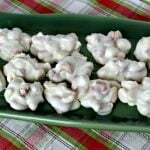 Chunky or smooth, this recipe is delicious! Eat it plain or drizzled over ice cream or yogurt. 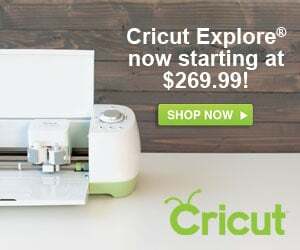 Peel, core and cut up your apples. 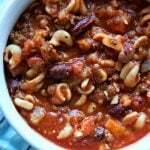 Place into your slow cooker. Sprinkle lemon juice over the apples and stir. 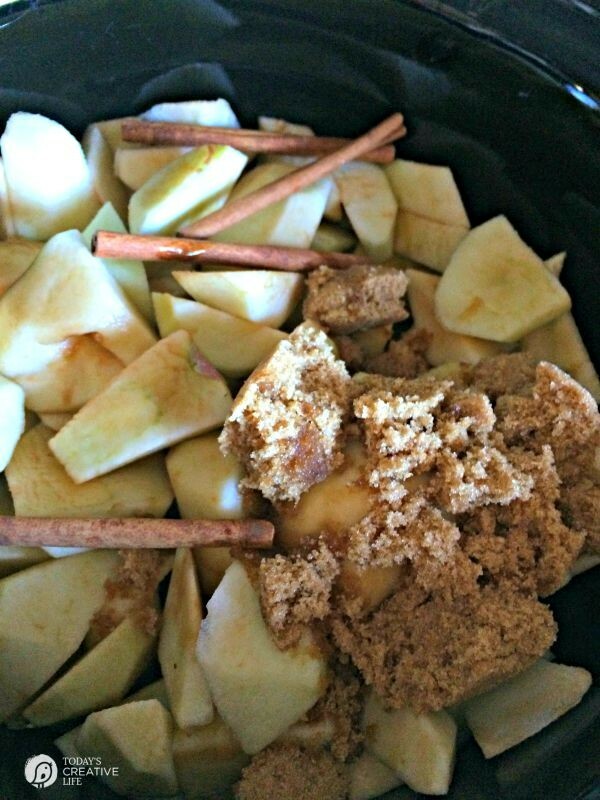 After it's cooked and the apples are soft, remove the cinnamon sticks. 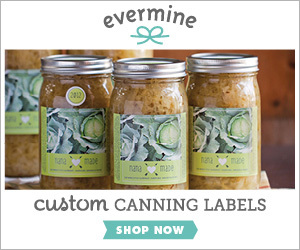 Use the back of a large spoon or a large fork to mash the apples to the desired consistency. If you want really smooth applesauce, use an immersion blender. Omit the sugar if you're trying to stay away from any added sugar. 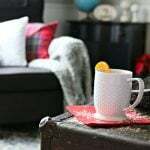 Regular sugar will also work if you're out of brown sugar. 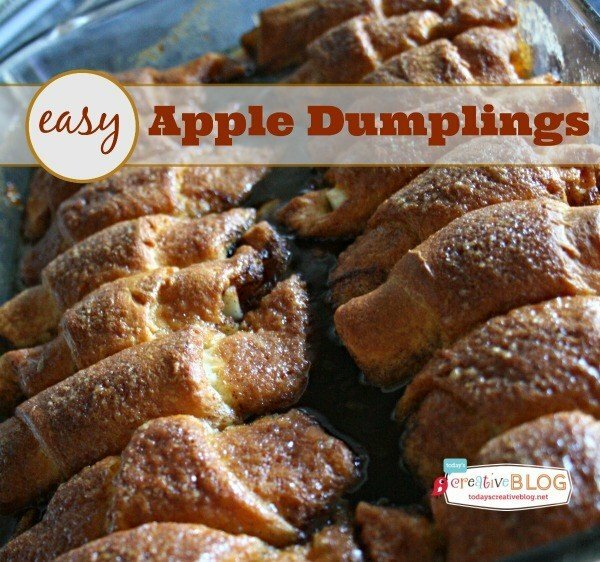 Easy Apple Dumplings Recipe – Just click on the photo for the recipe. 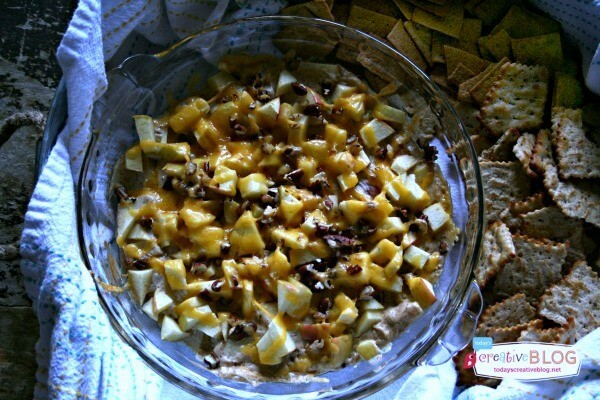 Hot Apple Pie Dip – Click on the photo for the recipe. 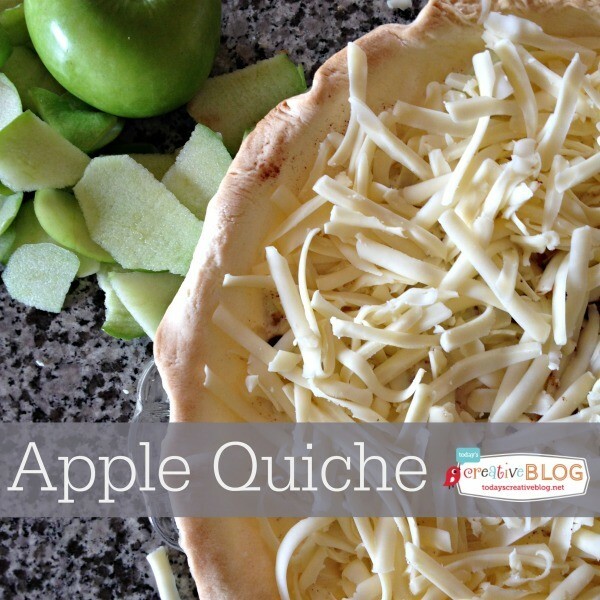 Apple Cheese Quiche – Click on the photo for the recipe. 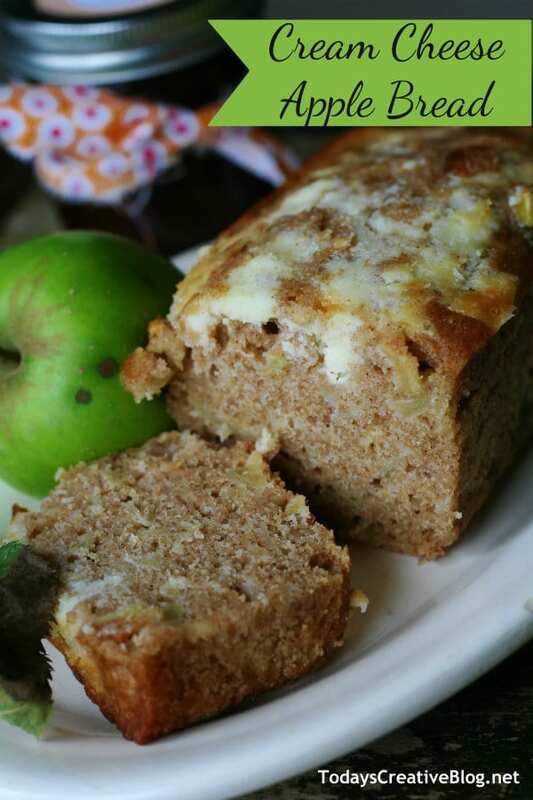 Cream Cheese Apple Quick Bread – Click on the photo for the recipe. 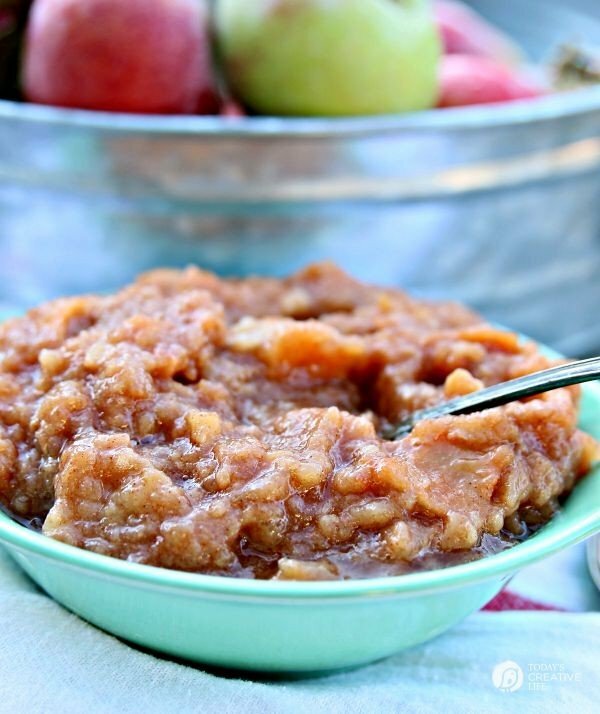 I adore homemade applesauce and adding brown sugar sounds fantastic!!! I’m a fan of chunky applesauce, too—yours looks perfect. 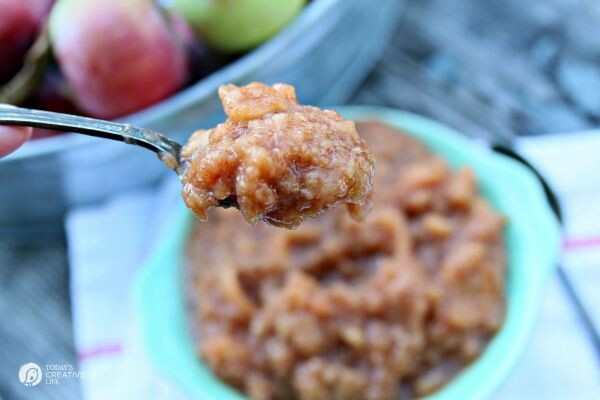 Chunky applesauce, all the way! 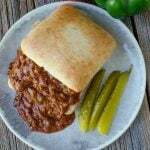 I think I need to try this slow cooker recipe, I much prefer a homemade applesauce.